Happiness can feel out of reach when life presents great struggles. But research shows satisfaction and happiness are still possible during our dark hours. This is part four in a LiveWell blog series on happiness that launched with “Live well, live happy” in January. Being happy can feel out of reach when life presents great struggles. Though this feeling is valid, research shows that satisfaction and happiness are possible even in the face of difficulties, stress and trauma. Happy people are able to develop strategies for coping and weathering the storms of life. I personally experienced this recently. I was in the hospital twice with an illness over the course of just a few weeks. While I experienced pain and stress, I also found many unexpected joys. These included giggle-filled visits with friends, tender and loving moments with my parents, and daily deliveries of all things pretty, delicious and inspirational. Your past holds many lessons that you may apply now. Think back to a time when you encountered great difficulties. What got you through? What supports did you have? What strengths did you use? Now consider how you changed and grew as a result of those past trials. What do you know about yourself? What motivated you? Consider the intensity of the problem you are facing. To get through it, are you able to develop a plan to deal with it? If so, jump right in! Is it overwhelming to even consider your problem? Then this is not the time to strategize. It is time to step back, regroup and to gather support and comfort. You may need to go for a run or you may need to tend to your spirit, but step away from the problem first for centering and calming. Be open to growth and resilience. Think of resilience as the ability to hold the positive and the negative in the same space. Resilient people know that life is not one or the other, but both. This is not the time to go solo. If this is not hard for you, seek out some support. When we are able to help someone, we feel great. Consider that you would be giving a friend or family member this opportunity. Remember that people are not mind readers. We sometimes assume that others don’t care when in reality, they simply don’t know what we are going through. When we make our needs known, we have a much better chance of having them met. It is important that you find the meaning and it is not imposed on you. The silver lining or meaning may not be readily apparent, but sometimes just trusting that there is meaning beyond what you are experiencing is comforting. Remember that being happy is not a condition reserved for those without difficulties and stress. It is normal to have difficulties, and there are opportunities for joy, growth and deep connection within the dark hours. Categories: Happiness, Health and wellness, Mind body connection, Stress Management, Uncategorized, well-being | Tags: facing adversity, finding happiness, getting through a tough time, happiness, happiness in the face of adversity, health coaching, LiveWell Fitness Center, managing stress, Mary Farrell, Minneapolis, Penny George Institute, Penny George Institute for Health and Healing, stress management, wellness coaching | Permalink. During the school year, commit to one healthy habit like eating dinner together. This is one of my favorite times of year ― cool mornings followed by hot, sunny, summer afternoons and the excitement of a new school year. While some parents feel good about this, others get anxious thinking about the faster pace of the school year ― carpools, deadlines and the possibility of more commitments. sticking to a bedtime schedule. activities that help you thrive, such as book clubs, exercise, and spiritual groups. Get outside. Nothing is quite as calming as being a part of nature. During the week, simply take a family walk around the block or a trip to the neighborhood park. Add in a few hikes, bike rides or canoeing trips to make the most of the beautiful and calming scenery of autumn. Say no. It’s OK to do this, and it can actually be empowering. Try to do more by doing less. Commit to and enjoy the things you are interested in doing, but don’t feel the need to do everything. You will find that you get more joy from experiencing a few things in entirety. That holds up for kids’ activities as well. It doesn’t make you a bad parent to have your kids in only a few extracurricular activities. Trust me, their futures don’t depend on being over scheduled. Limit screen time. Take a family poll and see how much time your family (including you), is spending using technology. Most families admit that these devices can eat up time. Consider setting clear limits for when and how much screen time is allowed. You don’t need to eliminate screen time entirely, but limits can have the benefits of increased movement and improved sleep. Rejuvinate on the weekends. Crazy concept, huh? Turns out weekends were never really intended for all of our errands and household chores. While I know it’s impossible to stop running errands, designate at least part of the weekend for rest and relaxation. I would argue that one of the greatest skills we can teach our children is how to relax. It turns out that it’s easier to do all the difficult things in life (choosing healthy foods, exercising, and being productive) when we return to work and school on Monday after recharging our batteries. Courtney Baechler, MD, is a practicing physician with and the vice president of the Penny George Institute for Health and Healing. She has a master’s degree in clinical epidemiology from the University of Minnesota’s School of Public Health. Categories: Happiness, Health and wellness, Stress Management, Uncategorized, well-being | Tags: Courtney Baechler, family meals, managing school year stress, moms multitasking, overscheduled, parenting, Penny George Institute, Penny George Institute for Health and Healing, school year stress, stress, stress management | Permalink. 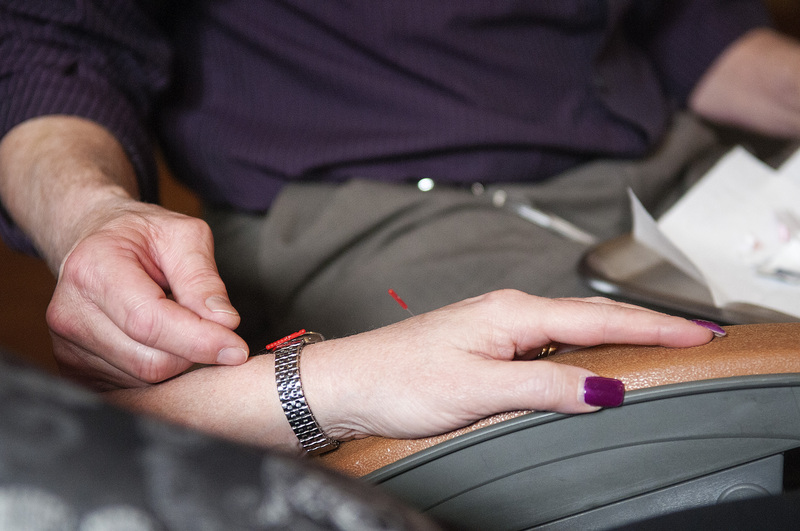 The Penny George Institute for Health and Healing offers acupuncture, group acupuncture, and other services for pain management at multiple locations. How did you get into acupuncture? As an acupuncturist at the Penny George Institute for Health and Healing, this is a question I often get asked. The answer is I discovered acupuncture as a patient. About 15 years ago, I was suffering from a severe case of tennis elbow (lateral-epicondylitis). The pain was impacting my ability to do just about anything and everything. I received a shot of cortisone that took the edge off for a short while, but then the pain reared its ugly head and it was worse than ever. So, I decided to try acupuncture. I was treated with acupuncture and electric stimulation for about 10 visits. And I was coached to take a break from weight training and do some very gentle movements to help relax the tendons in my forearm and improve my circulation. I was encouraged to “give myself permission to heal” (a revolutionary concept for me at the time). The pain went away, the function improved, and I’ve had more than 10 years without pain. What does acupuncture treat? What can it do for pain? It is important to remember that acupuncture is part of an ancient medical system called Traditional Chinese Medicine, which is much more that just acupuncture. Chinese herbs, dietary therapy, Tuina massage, and movement/breathing exercises such as tai chi and qi gong can also help people suffering with chronic pain. The Penny George Institute has an amazing integrative approach to treating chronic pain that addresses the body, mind and spirit. Approaching the treatment of chronic pain from a holistic point of view incorporates addressing the whole person, not just the symptoms. One of the things I love about Traditional Chinese Medicine is the wisdom that has been compiled over 3,000 years. It encourages asking questions like: How do we nourish our lives? How do we save and preserve our health so we can live more meaningful lives? Anyone dealing with chronic pain knows it is not only physically challenging, but it can be an emotional burden as well. In Traditional Chinese Medicine, we address the mind and emotions, as well as the body. I work with my patients to remind them that they are not their pain, and they are not their symptoms. They are a whole person who happens to be suffering with a difficult condition. Michael Egan, LAc, DiplOM, MaOM, sees patients at the Penny George Institute for Health and Healing – WestHealth in Plymouth. For an appointment, call 612-863-3333. Categories: Acupuncture, Exercise, Mind body connection, Traditional Chinese Medicine, Uncategorized, well-being | Tags: acupuncture, acupuncture for pain, acupuncturists in Plymouth, addressing pain, Can acupuncture help with pain?, managing pain, managing pain with acupuncture, Michael Egan, Minneapolis, pain management, pain relief, pain relief using acupuncture, Penny George Institute, Penny George Institute for Health and Healing, Twin Cities | Permalink. Farmer’s market tip: Talk with the people who grow the food for ideas on preparing an item. This article ran in the summer issue of the LiveWell® Newsletter of the Penny George Institute for Health and Healing. When Carolyn Denton goes to the Farmers Market, her plan is to not have a plan. One of Denton’s favorite recipes using Farmers Market produce is pesto (see recipe below). While traditionally made with basil, it can also be made with almost any herb, as well as with spinach or other greens. It can be used with pasta, fish or chicken, spread on pizza crust, used as a vegetable dip or mixed with mayonnaise as a sandwich spread. 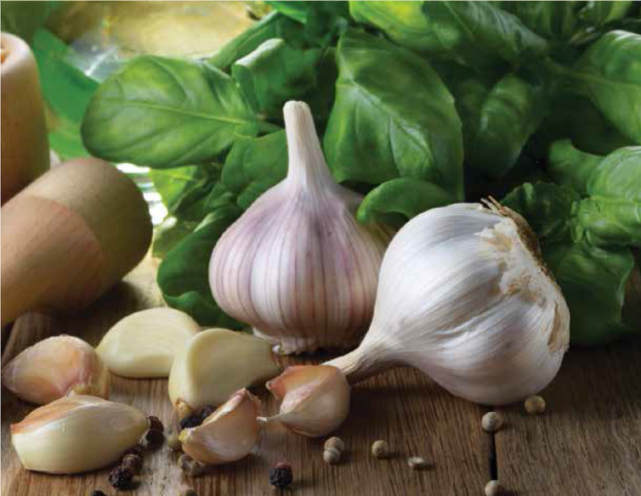 To make pesto: Place the basil, garlic, pine nuts, oil and salt in blender or food processor. Process until the pesto is smooth. Stir in the cheese. The Penny George Institute will be at Mill City Farmers Market in downtown Minneapolis Saturday, Aug. 23. Stop by our booth and meet our practitioners. Carolyn Denton, MA, LN, sees patients at the Penny George Institute – Abbott Northwestern Hospital. For appointments, call 612-863-3333. Categories: Health and wellness, Nutrition, well-being | Tags: Carolyn Denton, eating with the seasons, how to shop at a farmer's market, how to shop the farmer's market, Minneapolis, natural detoxifiers, Penny George Institute, Penny George Institute for Health and Healing, pesto recipe, seasonal recipes | Permalink.